Bandai Namco shared some technical details on Little Nightmares. The game will run at 1080P and 30 FPS on a regular PlayStation 4 console, while the native resolution will be bumped to 1620P (75% of 4K’s 2160P) on PS4 Pro where the frame rate will be close to 60FPS (70% of the time it will be stable at 60FPS, for the remaining 30% it will vary between 50 and 60FPS). Little Nightmares is the upcoming Unreal Engine 4 powered puzzle-platform adventure game by Tarsier Studios (LittleBigPlanet PS Vita, LittleBigPlanet 3, Tearaway Unfolded). Originally announced as Hunger in May 2014, it’s set to debut worldwide for PC, PlayStation 4 and Xbox One on April 28th. Christian Vaz recently tried the game at a press event and was positively impressed by the creation of Tarsier Studios. The game revolves around a small girl called Six, who is trying to escape a huge, mysterious vessel called The Maw. However, Six is not alone on her strange journey. Around every corner players will find corrupted souls hungrily searching for their next meal and it seems like Six features on that menu. I got to see so much of Little Nightmares in such a short amount of time, and this has left me feeling extremely confident about what will be on offer when the game releases in April. Tarsier Studios have done a brilliant job of creating a spooky atmosphere. 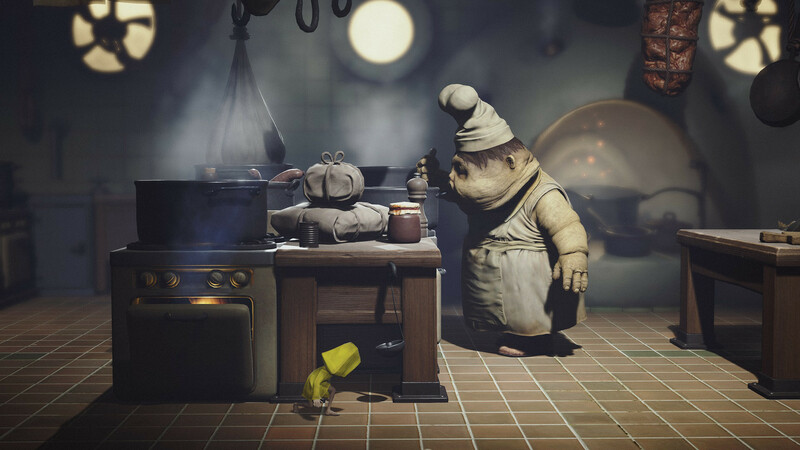 Little Nightmares (at least that we know of) does not feature any dialog or text bubbles, leaving the story to be revealed entirely through gameplay. There are so many questions I have about the plot of the game, who Six is and why she is trapped on this strange vessel. If you aren’t already looking forward to Little Nightmares, you should re-evaluate your priorities. Look forward to our review of the game later this week.